Weight loss, whether it was achieved with diet and exercise or bariatric surgery, is a long and arduous journey that requires strict dedication and commitment. For many individuals, weight loss allows for greater confidence and higher self-esteem, the ability to participate in more activities, and better overall health and wellness. When starting a weight loss journey, many individuals have a good idea of how they want their body to look at the end. Unfortunately, losing pounds is not enough to achieve these desires because excess skin often gets in the way. Skin laxity develops when an individual loses a significant amount of weight because while skin can easily stretch to accommodate weight gain, it cannot shrink back. Many weight-loss patients discover that their hard-earned results are hidden beneath layers of unwanted skin. Post-bariatric and body contouring procedures can help men and women who have lost weight to achieve smooth contours. Body contouring involves removing any remaining pockets of fat with liposuction, tightening stretched abdominal muscles, and removing excess skin. Skin can be removed from nearly any area of the body including the abdomen, thighs, arms, buttocks, breasts, hips, and back. Candidates for body contouring are individuals that suffer from the physical and emotional discomfort caused by sagging, loose skin. To be a candidate for these procedures, one must be near their ideal weight. Body contouring procedures will remove the excess skin that is currently there; if you are planning on losing additional weight, additional skin laxity may develop, and your results will be altered. Instead of rushing into body contouring, make sure that you are where you want to be and are able to maintain that physique. How Can You Maintain Your Results? Body contouring procedures, whether you choose a tummy tuck, body lift, arm lift, thigh lift, buttocks lift, or breast lift, require weeks of downtime. No matter which route you took for your weight loss, it’s likely that some form of physical exercise was included, exercise that will now be prohibited for several weeks so that you can heal. Since you will be unable to participate in the same level of physical activity to maintain your weight, you have to consider your diet. Following a healthy, nutritious diet after body contouring procedures will not only keep your weight in check but it will allow you to heal faster, meaning that you will feel up to returning to your normal activities sooner. A high-fluid, high-protein diet filled with vitamins and antioxidants will help maintain your surgical results. 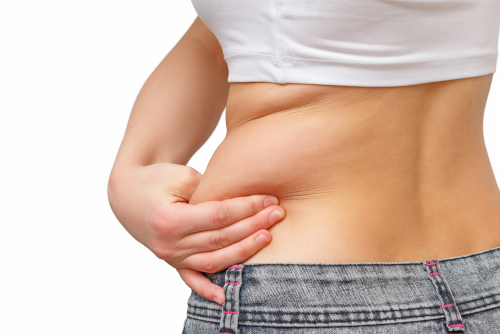 You have put in the work needed to lose weight; now, let body contouring get you the rest of the way. To learn more about post-bariatric procedures, contact Dr. O’Toole by calling 626-671-1756 or by filling out our online contact form.